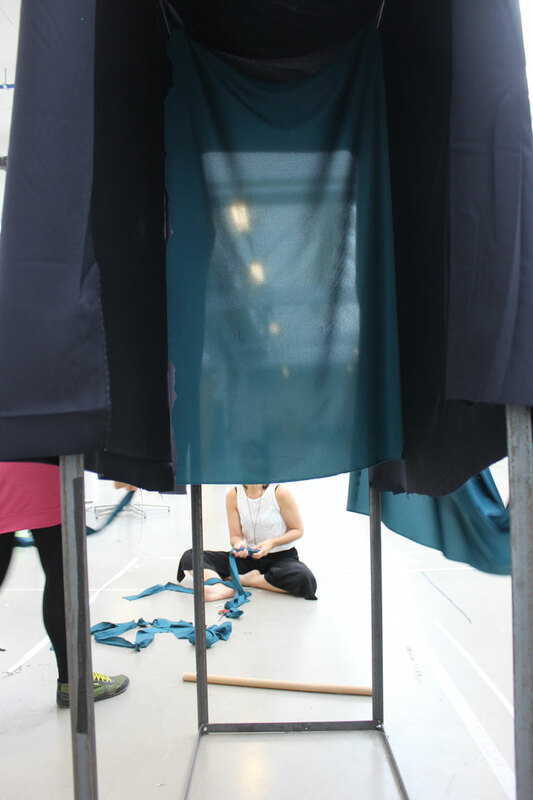 During the secondment at the Swedish school of Textiles, we organised a series of work sessions that were each led by a member of the work package 3 and the rest of the members participated. These workshops enabled each of the researcher to bring a topic for investigation to the group based on her own research and use the group as a resource for taking the research further. These work sessions focused on hands-on investigations involving working with materials, engaging with the body and surrounding spaces – following an approach defined by our group as ‘staging’. 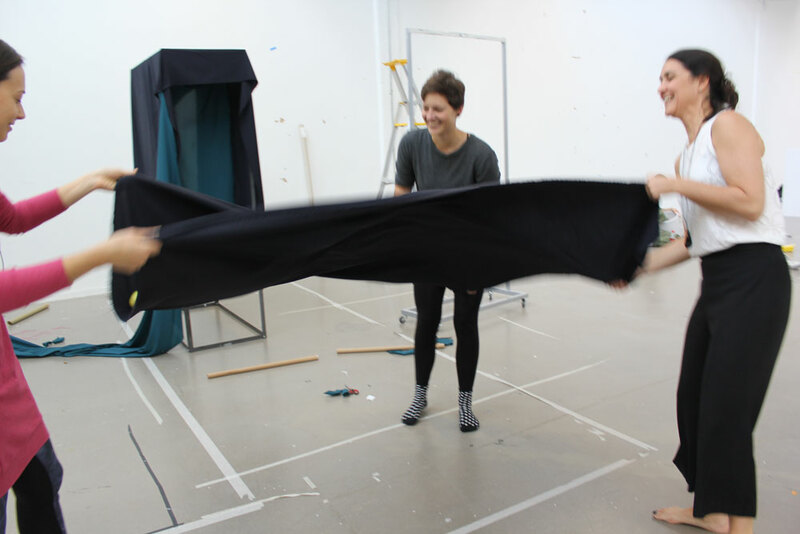 This workshop focused on exploring the approach of staging by setting a scene for engaging with textiles and the immediate interior surfaces through large scale bodily interactions. The workshop was divided into two parts. 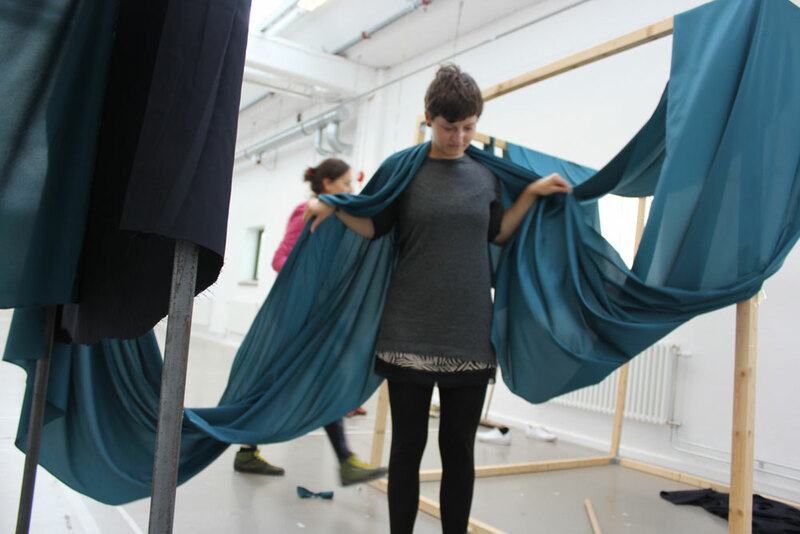 The first part encouraged bodily explorations with textiles on the basis of an open-ended premise. Invent a textile contraption that collects electrons from the interior surfaces. 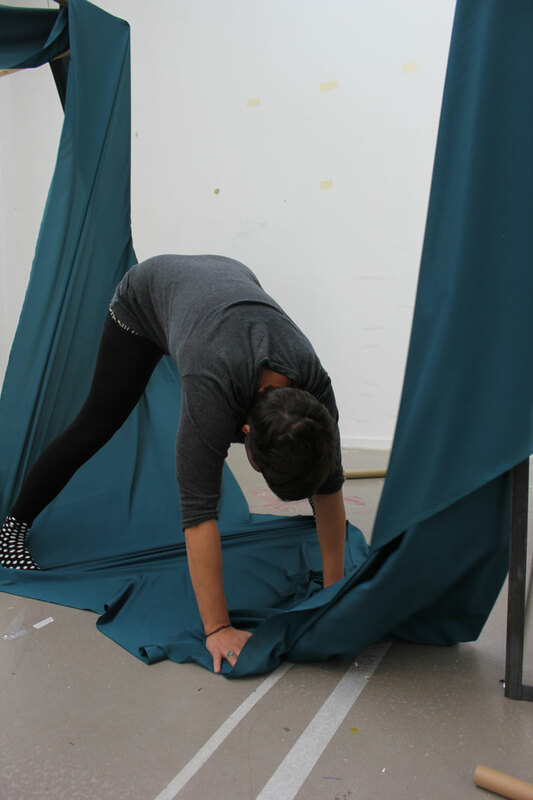 The workshop helped to discover concrete interactions with textiles and interior surfaces. It was interesting to see how others move, handle and inhabit large pieces of textiles. The findings from this workshop were taken further in the form of sketching and prototyping electrostatic textile interactions. Set up a scene – an atmospheric performance with a help of your prop. Capture a scene – an image that depicts and suggests an atmospheric performance. 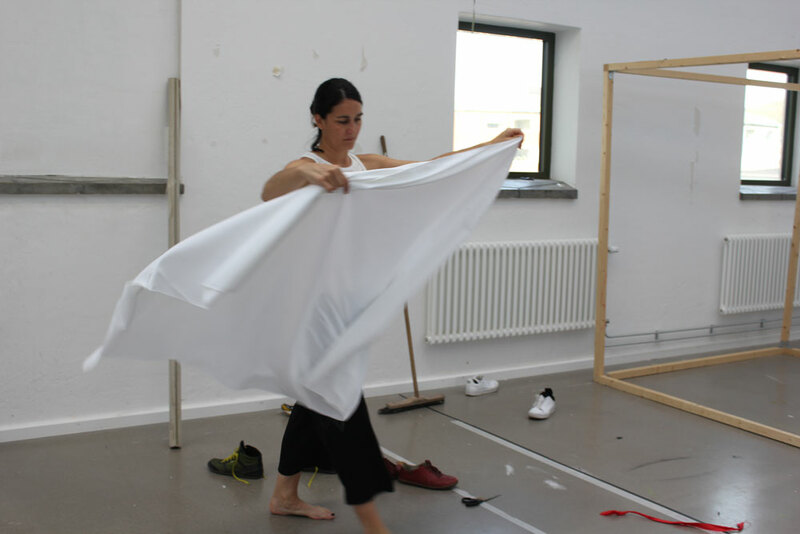 This work session, namely the results and participants’ feedback gave me insights on how can I make progress my individual studio work (staging atmospheres with surfaces) and refine the framework for future workshops.